World Natural Heritage Site - Ha Long Bay is one of the leading Vietnam vacation spot. It attracts visitors by thousands of sparkling rock islands with mysterious caves. Ha Long is also the place to bring visitors many interesting experiences. 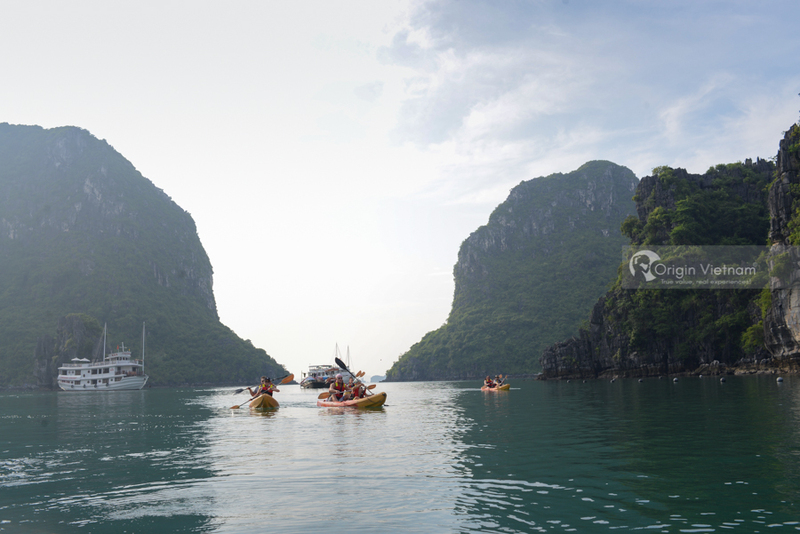 If you have not yet to go to Ha Long Bay, try to participate in the Halong Bay tour with Origin Vietnam. Ha Long Bay is located in northeastern Vietnam, including Ha Long City, Cam Pha City and part of Van Don Island District, Quang Ninh Province. According to the legend, the ancient country was in jeopardy. Ngoc Hoang sent a dragon to the East Coast to help the Vietnamese fight foreign invaders. After the war, dragon see the scenery charming, the dragon has stayed in the lower world, creating countless islands as beautiful today. The landing of the dragon is called Ha Long (meaning the place where the dragon landed). The culture gives Ha Long Bay a wild beauty, there are "not two". Cultural personality Nguyen Trai also wallet Ha Long is "Wonder land in the sky". Thanks to its aesthetic beauty and rich geological value. Ha Long Bay has become a world natural heritage recognized by UNESCO. In addition, Ha Long Bay is also listed as the most beautiful bays in the world. If you love Halong Bay, please register for Origin Vietnam Halong Tours. We have many itineraries for visitors to chose from. You can book tour Ha Long 1 day, 2 days, 3 days depending on your time. Our team has carefully selected each destination to give visitors a dream schedule. If you move away a little, you will be exploring many other pristine islands such as Ti Tốp, Quan Lan, Co To, Bo Hon, Soi Sim, Ngoc Vung ... When giving Ha Long beautiful scenery. The beautiful island in Ha Long is also part of that gift. So, if you have the opportunity to travel to Ha Long, visitors remember to visit these beautiful islands. 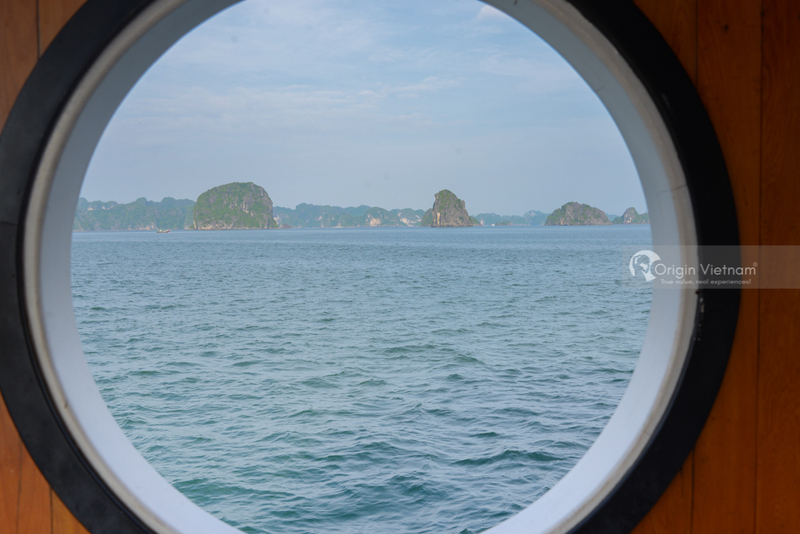 Going to Ha Long Bay, looking at the beautiful rock island without trying to explore the cave is a shortcoming. Ha Long has a rich cave system, some have named names and some unnamed. 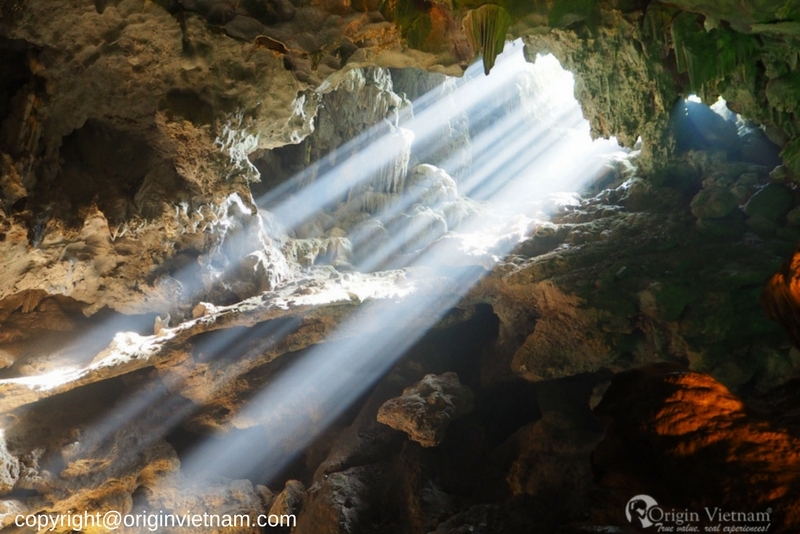 The famous caves are Thien Cung Cave, Sung Sot Cave, Luon Cave, and Trinh Nu Cave. Most of the caves here are often closed and narrow, the lower the depths are. If your journey Ha Long Halong is the cave, remember to bring more jacket, shawl to warm the body. What is interesting to Halong by Origin Vietnam? What are the special features of Ha Long Travel with Origin Vietnam? Surely visitors have the answer after reading all of this article. Origin Vietnam hopes to be accompanied with you on the upcoming Ha Long Bay tour. Thank you and wish you a happy trip.